It was a great session at trapeze class last night! 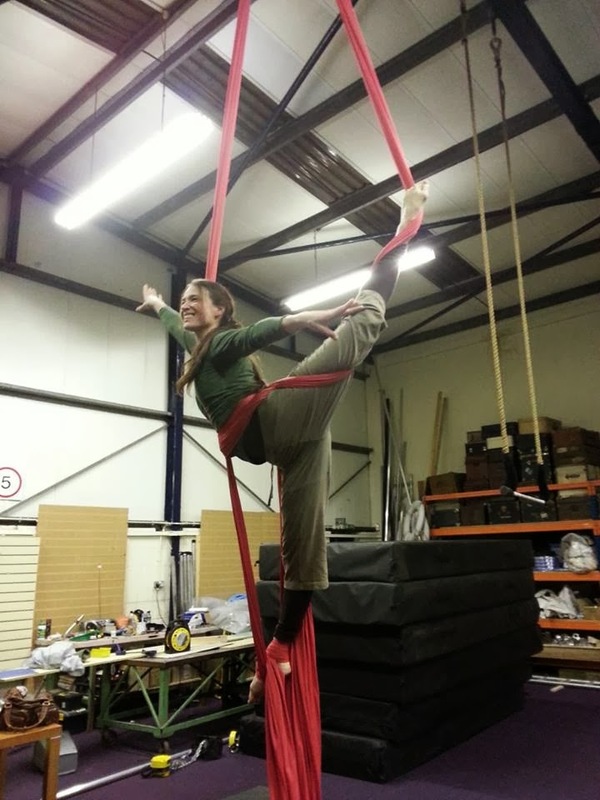 We actually spend most of it on the silks which I usually dread as it requires lots of upper body strength. But I managed to do a foot lock I often struggle with, which led to lots more tangly positions! We also did the drop again which I LOVE! Here is one of the shapes from last night! And here is the drop from a few weeks ago! Welcome to my blog! I hope you enjoy reading about our family's parties, crafts and fun. Please do leave a comment - I love hearing what you think! Subscribe to my blog and get email alerts with each new post.